The global microsurgery robot market is predicted to increase growth with rising awareness about advantages such as better patient outcomes, absence of post-operative complications, and improved effectiveness. Reduction in recovery time with the use of minimally invasive microsurgery robot could augment the demand in the global market. Microsurgery robot helps with minimum scarring and reduced hospital stays. Furthermore, rising prevalence of chronic diseases is expected to cause a surge in the demand for microsurgery robot. The need to treat chronic conditions increases the requirement of surgical procedures. There are a number of benefits associated with robotic-assisted surgery. High prevalence of cancer is projected to increase the application of microsurgery robot in oncology treatments. Brain, colorectal, prostate, and other types of cancer treatments involve the use of robotic surgery. Lower number of post-operative complications and shorter recovery time are some of the advantages of using robot surgery in cancer treatments. Besides hospitals and clinics, ambulatory surgical centers are foretold to augment the demand in the global microsurgery robot market. Increasing adoption of surgical robots could be a primary factor stoking the demand for microsurgery robot in ambulatory surgical centers. The advent of novel technologies in the healthcare industry is envisaged to amplify the demand for microsurgery robot in India. Other factors such as rising per capita income, research and development activities, and healthcare expenditure could help the demand for microsurgery robot to soar in the country. Vendors could be encouraged to operate in the country-wise microsurgery robot market as the use of technologically sophisticated robotic equipment continues to increase. China is also prognosticated to become a prominent market for microsurgery robot because of the rise in the incidence of chronic diseases. Nevertheless, the U.S. could be a blockbuster market for microsurgery robot owing to the high demand for minimally invasive surgery. The global microsurgery robot market is envisaged to rise at an exponential CAGR due to strong technological advancement in the field. The effectiveness of microsurgery robot in the treatment of chronic diseases could play a critical role in increasing the demand in the global market. The development of the global microsurgery robot market is expected to see a rise as a result of the miniaturization of robotic arms helping to avoid undesirable post-surgery effects and complications. Increasing use of microsurgery robot could catapult the global market in the coming years. In October 2017, Maastricht University Medical Center’s plastic surgeons used robot hands to supposedly perform the first super-microsurgery operation of the world. The global microsurgery robot market is predicted to see its growth soaring on the back of the advancement of robotics for surgical procedures. This could be supported with increasing private and government funding in the recent years. Rising uptake of robotic assistance for performing a number of surgeries in ambulatory surgical centers and hospitals is anticipated to further push the growth of the global microsurgery robot market. There could be rewarding growth prospects taking birth in the global microsurgery robot market because of the swelling demand in healthcare facilities. Among various applications of microsurgery robot, urology surgery is foretold to gather pace in the global market. This could be on account of the increasing incidence of urology diseases and the rising number of robot-assisted surgeries to treat them. The use of robots in such surgeries could ensure greater precision compared to laparoscopic pyeloplasty. Microsurgery robot helps to reduce blood loss during surgery and also the recovery time. Reported in Science Robotics in January 2018, John A. Paulson School of Engineering and Applied Sciences (SEAS) and Wyss Institute for Biologically Inspired Engineering of the Harvard University developed a millimeter-scale Delta robot that promises high precision and bandwidth. The milliDelta is expected to overcome miniaturization and even other challenges. The introduction of such novel and highly advanced robots could augur well for the global microsurgery robot market. Manufacturers are prophesied to take advantage of the ensuing demand to gain a competitive edge in the global microsurgery robot market. North America is envisioned to secure a lion’s share of the global microsurgery robot market in the near future. The U.S. could emerge as a significant contributor to the microsurgery robot market in the region. In 2017, it bagged an impressive revenue share of the North America microsurgery robot market. Patients in the country are financially capable to pay for robotic microsurgery, taking into account their high disposable income and the tremendous per capita income. Furthermore, the swelling demand for minimally invasive surgery is projected to work in the favor of the regional microsurgery robot market. 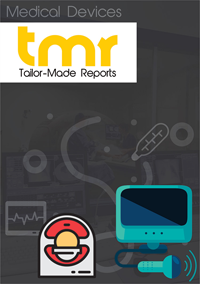 Considering the rising prevalence of infectious and chronic diseases in India, Asia Pacific is forecast to show promising growth in the global microsurgery robot market. The advent of novel technologies encouraged by improving per capita income, increasing research and development, and rising healthcare spending could augur well for the microsurgery robot market in India. With a view to gain a foothold in the global microsurgery robot market, leading companies are prognosticated to focus on mergers and acquisitions and new product launches. This could be evidenced by the deal between Great Belief International Limited and TransEnterix publicized in December 2017. The global microsurgery robot market includes top vendors such as Mazor Robotics, Intuitive Surgical, and Auris Health.